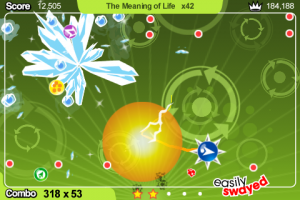 Review: Tilt To Live - Hectic Tilting Madness? Tilt To Live got a major update with two brand new gameplay modes: Code Red and Gauntlet. Code Red gets you right into the thick of it with hectic action from the get go. Gauntlet mode is a new take on the game where you have no weapons, and instead try to avoid the red dots as the screen moves from left to right. 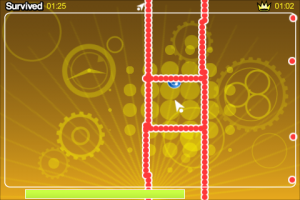 In Gauntlet all the dots come at you in various formations from forming an elevator to knifes and axes. You need to pick up orbs along the way that are placed precariously in the middle of formations to keep your health up. Your goal is to last as long as you can, and there are new awards for Gauntlet as well. Both modes reinvigorate a game that was getting a little stale. Code Red is perfect for those who feel that the classic mode just takes too long to get into it. You want the action now, and you don't want to be bored waiting for that action. Also in code red combos are easier and yet harder at the same time in that there are more dots to keep your combos going, but there's also more dots. Gauntlet mode gives you a completely different game as you use no weapons. 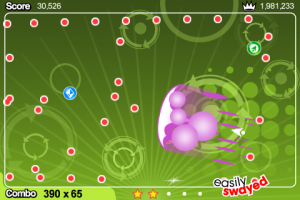 It's a great change of pace, and so much more challenging as you have to use all your tilting skills to survive. You will need to not only avoid, but also go into the teeth of these formations to collect the time bubbles. The new mode reminds you how precise the controls are as your effortlessly are able to move around the red dots with the smoothest tilt controls of any game to date. Once you're in code red you'll have weapons firing practically constantly, and you'll appreciate the wonderful animations that much more as you're fighting for your life, that one man left. This is one amazing update that makes Tilt To Live not only an absolute must, but one of the best game ever made on the iPhone/iPod Touch. If you haven't picked it up yet, now is the time to do so. Tilt to Live as the name implies requires you to tilt to survive. 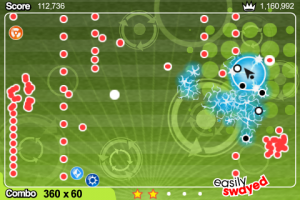 You play as a little arrow, and you need to fend off little red dots for as long as you can. The red dots don’t just mindlessly roam, but instead actively pursue you after randomly appearing. It would be quite tough to just avoid the red dots, and thankfully you have an arsenal of weapons at your disposal. Weapons appear as little power-up orbs that appear in groups of three, and replenish each time one is used. You can detonate nukes, fire heat seeking missiles, and evoke lightning to counter the multiplying red dots that meld into formations of lines, arrows, and more. We gave you a sneak peek way back when, and now it's time for the full review. There is one gameplay mode which is survival, or tilting to live. In total there are eight weapons with only three at first use with the other five unlockable. The weapons included are nuclear blast, homing missiles, purple laser, ice blast, bubble shield, vortex, spiky ball, and lightning. 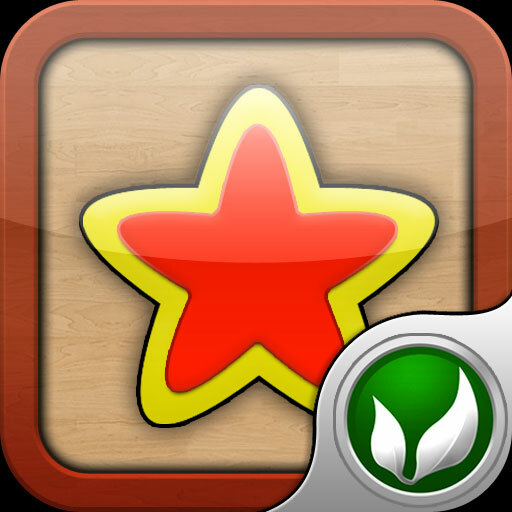 AGON is provided for online high scores and achievements. 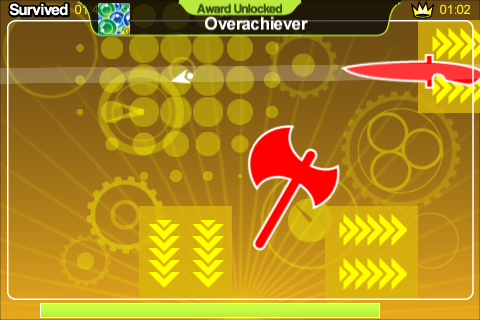 27 achievements are included, and you will need to earn quite a few of them to unlock the later weapons. Four tilt options are included with a great custom option to calibrate each time you launch the game since tilting is so important. Tilt to Live is instantly accessible, and then totally engrossing that you won’t be able to put it back down. You will be hooked from the first game, and finding yourself playing it over and over just to top your own score as you know you can do better than you just did. The unlockable weapon mechanic will keep you going to earn some new difficult awards to get the spiky ball, lightning, etc. 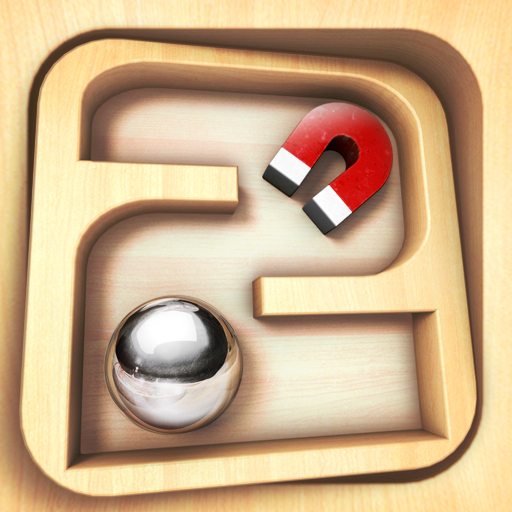 The game game provides some of the most fun you can have on the iPhone with every single game an enjoyable, and different experience. 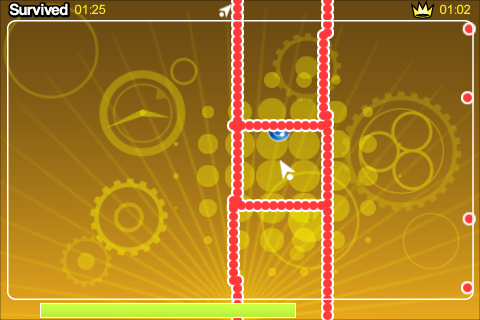 The red dots will always appear in different places, go into different formations, and change the timing of everything. Then the weapons given to you are completely random, and change the gameplay depending on which ones you get. Once all weapons are unlocked it’s a full on war between you, and the red dots which you’ll take personally. You just try to grab every weapon that appears, and keep killing red dots in whatever way you can. 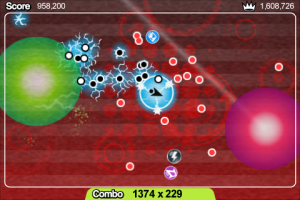 The game is all about combos, and you gain one multiplier for each red dot you kill consecutively so you go all out to do so. At times the weapons will be behind waves of red dots, and you will need to maneuver very carefully through the dots that are closing in on you. Then you will need to bait the red dots to get them close enough to use a nuke, line them up for a laser blast, or have them follow you to a vortex. The red dots as an enemy really make the game stand out since they have an AI system. The come after you, and appear in circles, around your current location which is always moving. When you get a spiky ball they actually are smart enough to run away from you. Occasionally they meld into arrows that fire at you, and even start playing some pong. Though everything is in 2D with just an arrow and red dots, the game couldn’t be more finely designed. 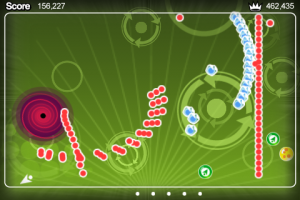 The green background is constantly moving, and even follows the movement of your arrow. The weapon animations are simply amazing from the purple laser blast sweeping across screen, to the red dots being electrocuted by the lightning. The nuke turns them to ashes, the ice explodes in grandeur, and the red dots even stretch as they’re being pulled into the vortex. The included soundtrack is a hectic upbeat melody that fits absolutely perfectly with the gameplay. The sound effects for all of your weapons are just as you think they should sound. The tilt calibration is absolutely perfect with maybe the most precise titling I’ve felt on the iPhone. There isn’t much not to like. One Man Left Studios set out to make a pick up and play game, and this is about the best you can do on the iPhone. Granted it would be nice to see another gameplay mode, but that doesn’t take anything away from the game we have now. There is no save system which is a little disappointing, though even the best played game doesn’t last much longer than five minutes. The game has one touch death which may be a bother for some, but seems so perfect as you're tilting to live with the stakes so high of instant death. 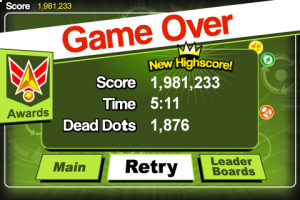 When you do lose it's disappointing starting over with few red dots, and having to wait to get back into the action. The game is extremely addictive, so this review comes with not just caution, or a warning but a full scale alert. Alert: You will be addicted. Tilt to Live is one of the very best games in the App Store, and is the epitome of the pick up and play title for the iPhone. 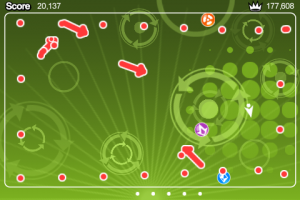 Tilt to Live sets a new standard for tilting games, and is the new definition of an iPhone game. It shows what makes the device so special coupled with everything being so well done with the gameplay, super fine controls, and beautiful visuals. It’s the most addictive experience you can find anywhere, that is just as enjoyable the first time and the hundredth time. 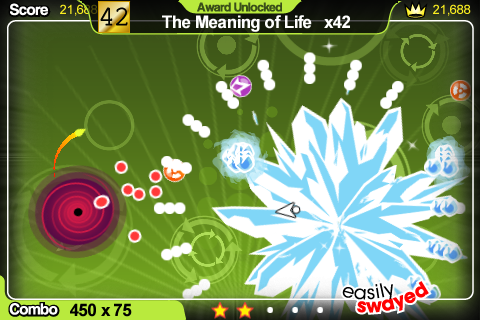 Tilt to Live is an must buy that should be on every idevice.